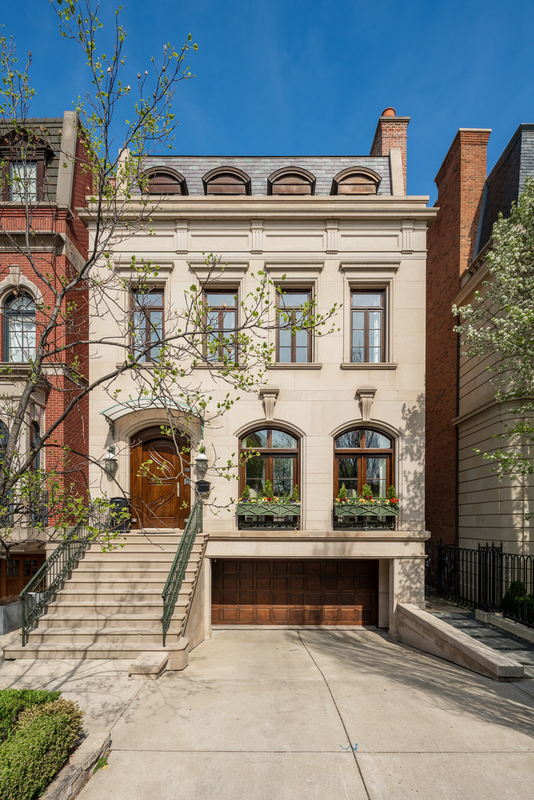 Sensational custom home on one of the most desired Lincoln Park blocks with an attached garage! Situated on an extra-wide, extra long lot, this home has over 7000 square feet of luxurious living. Amazing attention to detail throughout with the best finishes. Beautiful white kitchen with top end appliances, breakfast bar, and eat-in space. The adjacent greatroom has a wood burning fireplace and overlooks the huge backyard with a deck, sport court and plenty of space to entertain. Large master suite with a generous closet and luxurious bath. Three additional bedrooms and two baths complete the master level. Flexible penthouse level with office and exercise space, fifth bedroom and bath, laundry, and a wet bar for entertaining on the spacious roof deck with city views. Huge lower level recreational/media room, sixth bedroom and bath, amazing storage, and mudroom space off of the attached garage. Truly amazing location near schools, parks, the lake, and zoo!